Earlier this semester, we held our Ibiza Badlands DJ competition in the lead up to our annual event. Entrants submitted 20 minute mixes and 8 finalists were chosen who competed at the UWA Tavern to win the opening mainstage slot at this semester’s festival. The competition was close and of a high standard, but the prize was taken out by Anthony Messina, who goes by the DJ name Spindictive. We caught up with Anthony recently to chat about his favourite artists, dream gigs & his love for Drum and Bass. Anthony is a 26 year old DnB fanatic from Perth, Western Australia. He has been featured on RTR FM and has played at some underground events around Perth, though yet to enter the club scene. Some of his musical inspirations are S.P.Y., Andy C, DJ Hazard, Noisia, and he is always down for a two-step. Being a connoisseur of DnB, Spindictive is feeling right at home in the Perth music scene. We were joyed with his opening performance at Ibiza Badlands and we wish him all the best in his future endeavours. Foreign Concept & Halogenix: Waiheke Wine Club (Circuits Remix). Critical Records are putting out some amazing stuff atm, this is one off Foreign Concept’s Gozen EP that I’ve been really digging. Which do you prefer, Laptop or USB’s? I think if I was doing more of a live production show I’d want to bring a laptop in, but for DJ’ing I’d say USBs for sure. Only needing headphones and USBs for gigs is great. Plus, I like going B2B with mates and that works so much easier if everyone is just using USBs. Vinyl would be sweet but again its a matter of storing and transporting them. What would be your number one tip for beginner DJs? Practice, practice, practice, you won’t improve if you don’t put the hours in. I’d have to credit my mate Ben on that one. We share a love of DnB, and he definitely introduced me to the world of mixing with a bunch of BBC Essential mixes. When he upgraded to a DDJ-SB, he gave me his old DDJ-WEGO to have a crack on and I’ve loved mixing since then. Which DJ would you like to have a coffee with and why? Gotta be old mate Andy, the absolute madman. 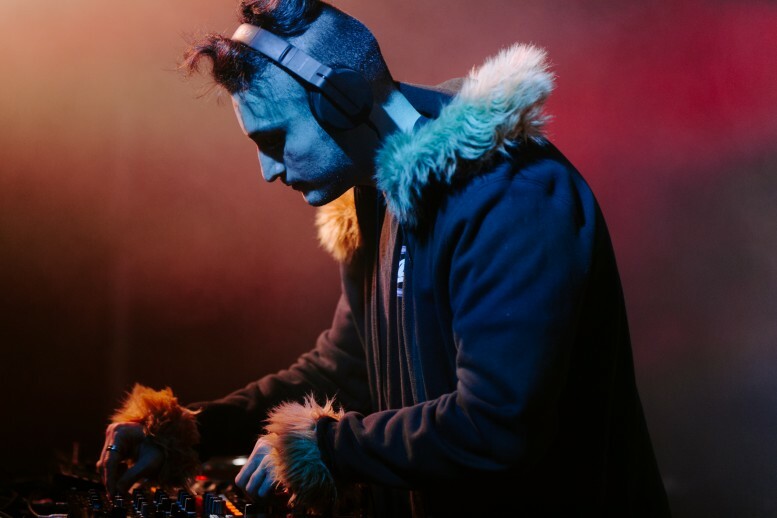 I’ve seen Andy C perform a few times, they’ve all been phenomenal and that level of technique is something I aspire for, he’s been a major part of the DnB music scene for many years. If you had the chance to play a B2B set with anyone at any festival, who would you play with and at what festival? There’s so many amazing artists I’d love to play B2B with given the chance. Let it Roll would be amazing to play at, a jungle/jumpup set with DJ Hype would be mad. Describe your Ibiza experience using only emojis? Do you have any tips for people who would enter this DJ comp in the future? Play the music you want to hear and play it well, but make sure that you’re playing for the timeslot. Every DJ can make a playlist of their heaviest songs and the biggest current hits, you gotta be creative and think of how your set fits in with the rest of the event.